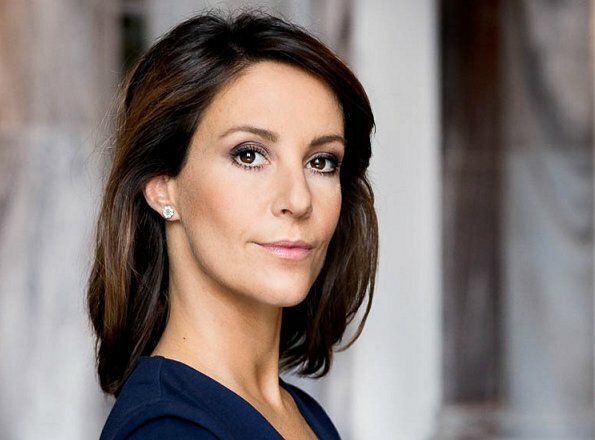 Today, Princess Marie of Denmark celebrates her 42nd birthday. Princess Marie of Denmark, Countess of Monpezat (born on February 6, 1976 in Paris, France, maiden name Marie Agathe Odile) is the wife of Prince Joachim of Denmark. The couple has two children, namely, Prince Henrik and Princess Athena. Princess Marie is also the stepmother of Prince Nikolai and Prince Felix who were born during the first marriage of Prince Joachim. Happy birthday to you, Princess Marie. Je la préfère quand elle esquisse un sourire ou tout simplement, lorsqu'elle sourit. A charming lady who seems to have made Joachim very happy. I didn't realize her birthday is the day after her sister-in-law's, Crown Princess Mary. Happy 42nd Birthday Princess Marie of Denmark. Ce ne sont pas ses meilleures photos. The first pic is very good. She is a beautiful lady.